festivities, but was in a bit of a bind for time. Hence, the Taco Bell dip. 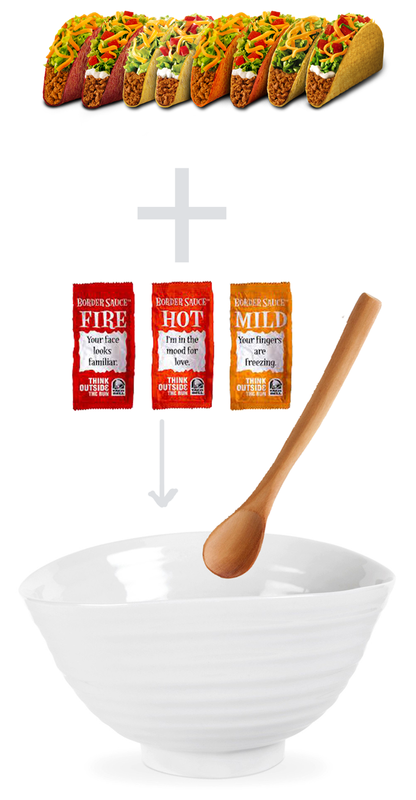 the contents of the tacos in the the bowl and mix. extra sour cream to our mix.